India is confident of finalising the mega deal with Moscow notwithstanding provisions of a US law that seeks to punish Russia for its alleged meddling in the American presidential election in 2016. 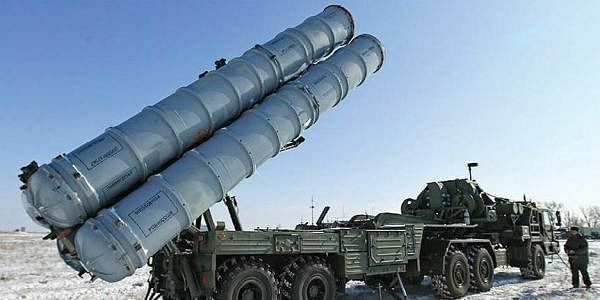 NEW DELHI: India is likely to seal a nearly Rs 40,000 crore deal to procure S-400 Triumf air defence missile systems from Russia before top leaders of the two countries hold an annual summit around October, official sources said. Negotiations for the deal are nearing completion and differences over price and other peripheral issues were almost bridged, they said. Sources told PTI that both Russia and India were eyeing inking of the contract before summit talks between Prime Minister Narendra Modi and Russian President Vladimir Putin which may take place either in September or October in India. India wants to procure the long-range missile systems to tighten its air defence mechanism, particularly along the nearly 4,000 km Sino-India border. In 2016, India and Russia had signed an agreement on the 'Triumf' interceptor-based missile system which can destroy incoming hostile aircraft, missiles and even drones at ranges of up to 400 km. S-400 is known as Russia's most advanced long-range surface-to-air missile defence system. The missile system is manufactured by Almaz-Antey and has been in service in Russia since 2007.